As we stepped off the Dodekanisos Pride ferry onto the Greek island of Symi for our late August beach holiday, our thoughts were on sunbathing and sailing. 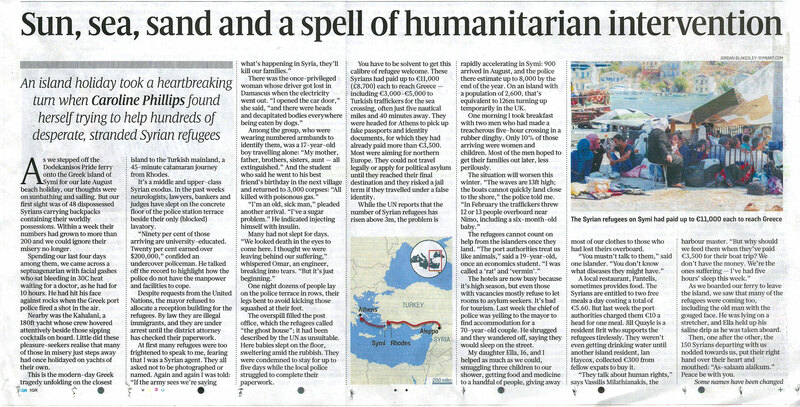 But our first sight was of 48 dispossessed Syrians carrying backpacks containing their worldly possessions. Within a week their numbers had grown to more than 200 and we could ignore their misery no longer. Spending our last four days among them, we came across a septuagenarian with facial gashes who sat bleeding in 30C heat waiting for a doctor, as he had for 10 hours. He had hit his face against rocks when the Greek port police fired a shot in the air. 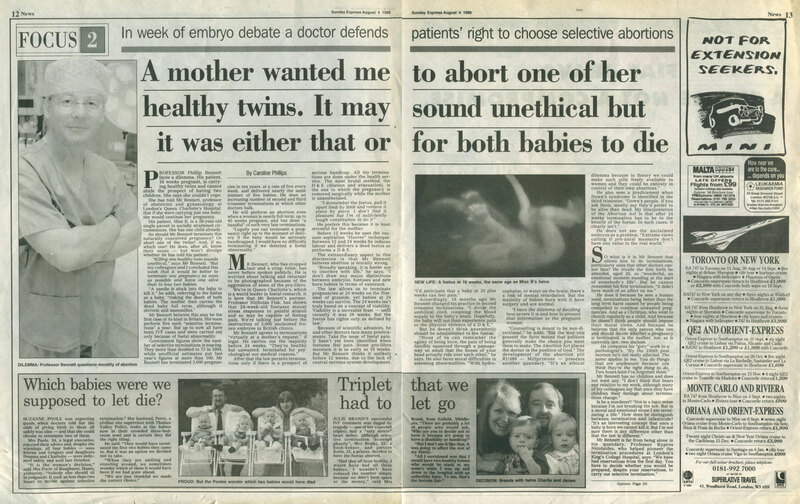 World-exclusive article, made front pages and sparked controversy globally, and shortlisted for “Scoop of the Year” in the 1997 British Press Awards.. Professor Phillip Bennett faces a dilemma. 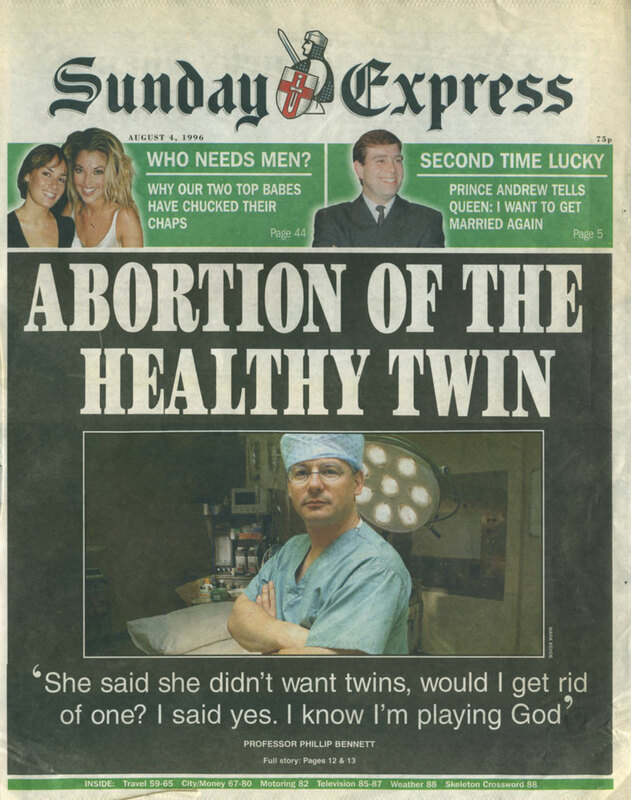 His patient, 16 weeks pregnant, is carrying healthy twins and cannot abide the prospect of having two children. She says she couldn’t cope. She has told Mr Bennett, professor of obstetrics and gynaecology at London’s Queen Charlotte’s Hospital, that if she were carrying just one baby, she would continue her pregnancy. 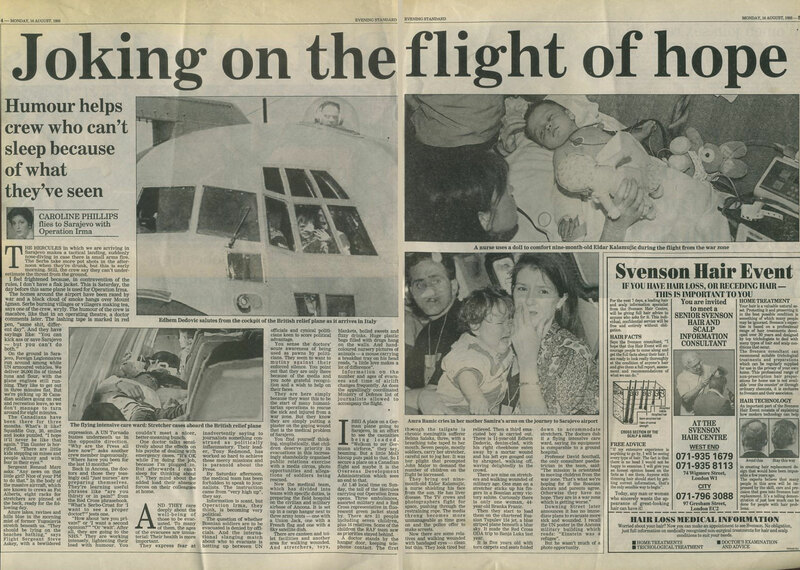 The Hercules in which we are arriving in Sarajevo makes a tactical landing, suddenly nose-diving in case there is small arms fire. The Serbs take more pot shots in the afternoon when they’re drunk, but this is early morning. Still, the crew say they can’t underestimate the threat from the ground. I feel frightened because, in contravention of the rules, I don’t have a flak jacket. This is Saturday, the day before this same plane is used for Operation Irma. The homes around the airport have been razed by war and a black cloud of smoke hangs over Mount Igman. Serbs burning villages or villagers making tea, says one of the crew, wryly. Just who would want a pit bull as a pet? Next to the door bell is a sticker bearing the legend: “Make his day. Break in.” On it is a picture of a pit bull terrier, stocky and muscular with a steel-trap jaw. 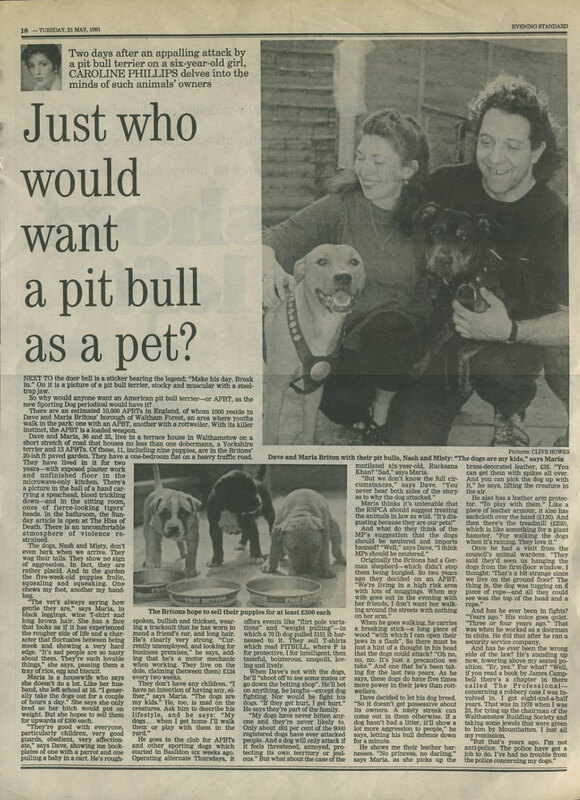 So why would anyone want an American pit bull terrier - or APBT, as the new Sporting Dog periodical would have it? There are an estimated 10,000 APBTs in England, of whom 1000 reside in Dave and Maria Britons’ borough of Waltham Forest, an area where youths walk in the park: one with an APBT, another with a rottweiler. With its killer instinct, the APBT is a loaded weapon.